The evolution of technology used for space is incredible and mindboggling all in the same breath. With access to space cheaper and easier than ever, entrepreneurs have created new applications for the flood of data that is now streaming to Earth. The satellite industry is continuing to develop, rising swiftly past both U.S. and global economic performance. According to the most recent State of Satellite Industry Report, the Global Satellite Industry grew 3% in 2013, outpacing both worldwide economic growth of 2.4% and U.S. growth of 2.8%. The satellite industry revenue has more than doubled in the last decade, from $74.3 billion in 2004, to $195.2 billion in 2013. Observation via satellite has been integrated into everyday life. We now have the ability to distribute and aggregate extensive bandwidth, monitor weather, enhance safety, and aid in surveillance. Satellite imagery does not have high enough resolution to depict and identify individual people on the ground nor, as conspiracies may suggest, “Read our newspapers.” But, satellites can tell tales on people’s vehicles, property, and routines. And some forward-thinkers are finding creative and tactical ways to use this immense amount of data to solve problems on the ground – and make a profit. 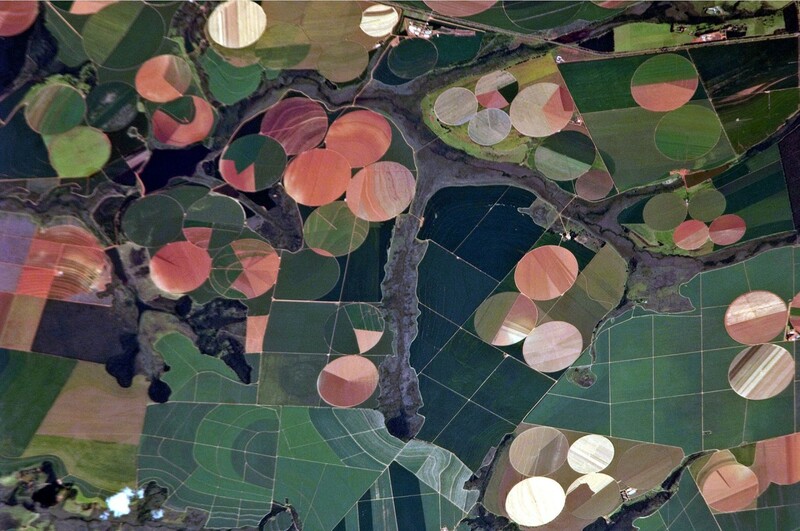 When it comes to space, truth can be stranger than fiction – as in this image of agricultural fields in Brazil, taken from the International Space Station (Credits: NASA). What do a space lawyer and a satellite imaging specialist have in common? They solve crimes – with a twist. Air & Space Evidence Ltd. is being billed as the “World’s First ‘Space Detective Agency.’” The enterprising duo provides satellite-derived evidence to support legal claims including insurance fraud and illegal plant clearing. Regulatory agencies were calling in with regards to acquiring imagery that could possibly be used as evidence in legal disputes. Although the agencies were aware what the Earth observation technologies had to offer, they had no clue how to incorporate the images in a legal context. Air & Space Evidence recently evaluated imagery from the Syrian civil war taken in early 2013. The obvious destruction appeared within six months of the first image in February of 2013, and shows visible damage of at least 640 buildings at the end of July 2013. The international human rights community relies on the innovation of satellite accessibility to monitor areas that may otherwise be unobtainable. As of 2013, there are nearly 1,500 operating satellites, with orders for 23 commercial GEO’s recently announced. Because of the growth rate of high-resolution satellites provided with an almost constant stream of data, these groups have the capability to document the images and evaluate eyewitness reports, such as acts portrayed in the Syria. Entrepreneurs like those of Air & Space Evidence are establishing expansive uses for imagery data provided by the extensive satellite access. 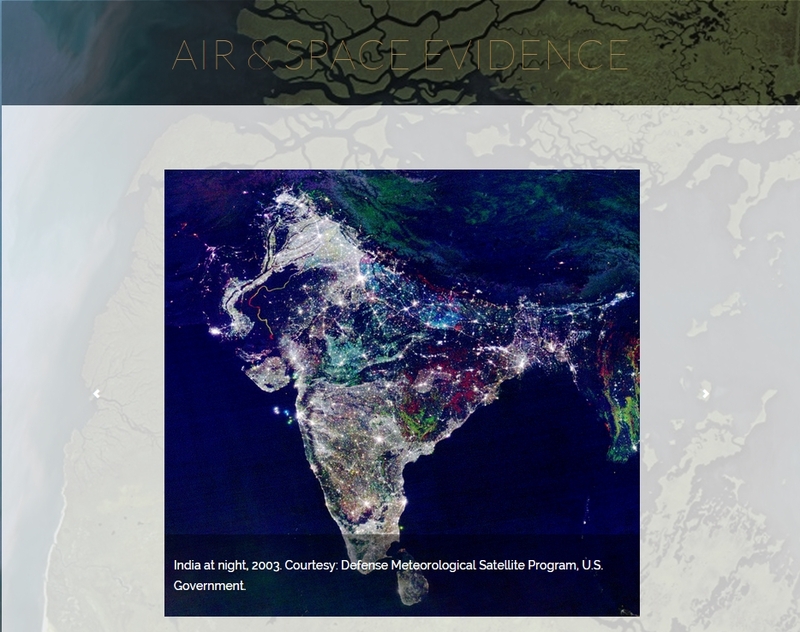 Air and Space Evidence’s website shows the types of satellite images that can be used in investigating crimes (Credits: US Department of Defense). It doesn’t get much more down to Earth than mowing the lawn, but an enterprising lawn care company saw a competitive advantage from using Google Earth to assess potential client’s yard work needs – and they took it. The simplicity of downloading Google Earth, typing in an address, and measuring the area of lawn is what is now driving the lawn care industry. Think about it: instead of having to physically go and spend hours measuring the acreage of the land, you could easily estimate aspects of the property by previewing the land with geospatial technology. This development in the business permits landscapers to control a lean logistical process, save time, and optimize resources without even leaving their deck. Now, the practice of using satellite imagery in the lawn care business is de rigueur, with its own Apps and YouTube training videos. Noon Turf Care, a lawn care business out of Massachusetts, grossed over $2 million in revenue last year by integrating Google Earth into their business strategy. The increase in using geospatial technology has both customers and developers reaping benefits. Businesses are not only incorporating free satellite applications, but are also willing to spend extra money on subscriptions for software programs like Go iLawn. Go iLawn typically captures images by plane. Because the plane is closer to the image than satellites, the imagery produced is of higher quality and resolution. Go iLawn has helped lawn care businesses like Rob Reindl’s gross over $1.2 million, and Swingle Lawn, Tree & Landscape Care gross over $14 million. Many business owners are now trying to integrate the stream of available date into other aspects of their company, like measuring roofs for reshingling, snow removal, or seasonal lights. The availability of frequent high resolution imagery can do more than clarify legal affairs and promote business development: it could also affect the way we view our news. The projection of implementing this software into social media provides real time awareness and a larger platform for virtual assets solving non-virtual problems. With real time access to imagery data, agencies and civilians might be able to prevent catastrophic harm during natural disasters and human rights crises. Reporters will have an increased virtual presence as they will too have the ability to monitor and research almost everything available. Where will satellite data take us next? Space is already integrated into our every day lives but with movement towards smart grids and the internet of things, it is bound to become even more entwined in human activity. While satellites themselves have physical limitations when it comes to optical resolution, since the world’s highest resolution commercial satellite in orbit has a ground sample distance of 31cm, applications like Google Maps that combine space, aerial, and ground based observations are likely to erase the seams, creating an immense data-verse ready to be mined by anyone with a good idea. Mackenzie Waldon is a recent graduate of Iowa State University. You'll find her researching innovative technologies, volunteering at the Farmer's Market, or playing BS with her grandma.